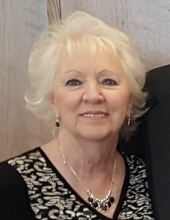 Patricia Jean Furchak, 76, of Midwest City, passed away March 15, 2019 at her residence surrounded by her family. She was born November 12, 1943 in Anadarko Oklahoma to Christine and Wallace Hall. She was a long time member of Saint Philip Neri Parish of Midwest City and enjoyed traveling and her family. To send flowers or a remembrance gift to the family of Patricia "Pat" Furchak, please visit our Tribute Store. SE 74th St. 0.15 mile west of S. Douglas Blvd. "Email Address" would like to share the life celebration of Patricia "Pat" Furchak. Click on the "link" to go to share a favorite memory or leave a condolence message for the family.